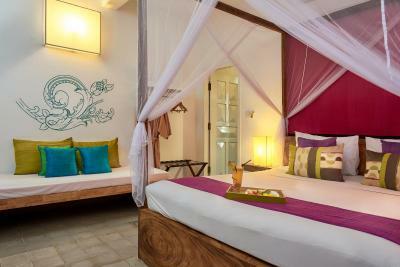 Lock in a great price for Blue Lime Phnom Penh – rated 8.6 by recent guests! 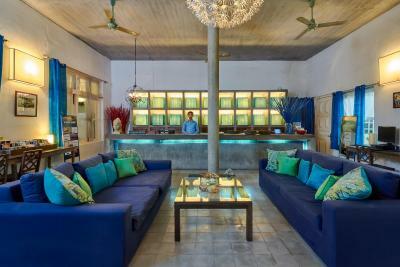 Blue Lime is a beautiful hotel with spacious rooms and nice private pools. 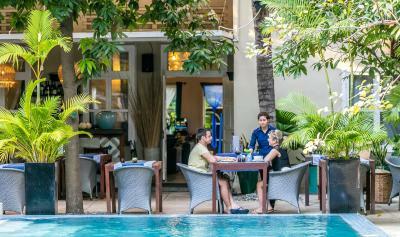 It is centrally located in Phnom Penh, and has a nice breakfast. I highly recommend this hotel. Pool, location is great, breakfast included and AC. Friendly staff! We decided to book the room with private pool.. and so happy we did! 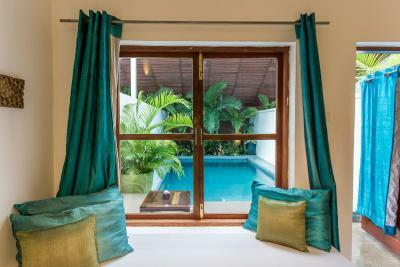 Phnom penh is very hot atm and coming back to the room and being able to step out the door into our own private pool was such a nice treat compared to a regular hotel room. The room is a little dated but clean and comfortable. Staff very helpful and friendly. Room service very prompt with nice food ( small menu though) Free breakfast by the main pool was nice and the setting very chilled and relaxing. Over all we would stay again, price is very reasonable even though the room could be more modern. 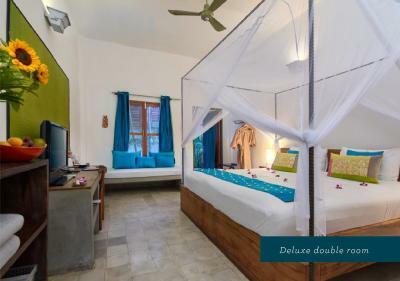 The charm and relaxed vibe along with good customer service, large clean room, comfy bed and private pool make it a great stay. A place so nice I stayed there twice. 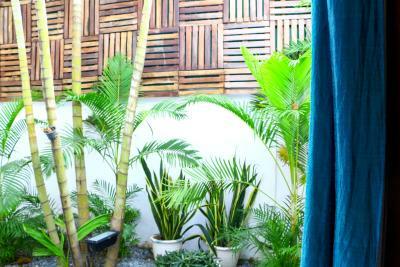 Great staff, clean and comfortable rooms, walkable location for the National Museum, Royal Palace, Mekong River, and more. I’d do it all over again. Highly recommend! This place is beautiful, we had a private pool (small but definitely worth every penny). 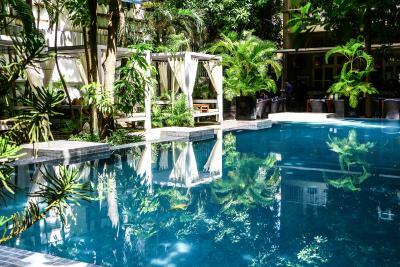 This hotel is paradise in the middle of then chaos of Phnom Phen. The breakfast was delicious and you could order off a menu, they had something for everyone. When the regular staff was present everything was fantastic. The hotel pool was beautiful and they had private cabana's for the guess to enjoy equipped with a fan. AC worked extremely well and the bed was comfortable. Very efficient staff and great location and appearance of the the hotel. Nicely cooked eggs are delicious so is the bread selection . The decor was beautiful and service was great! The pool was our favorite. 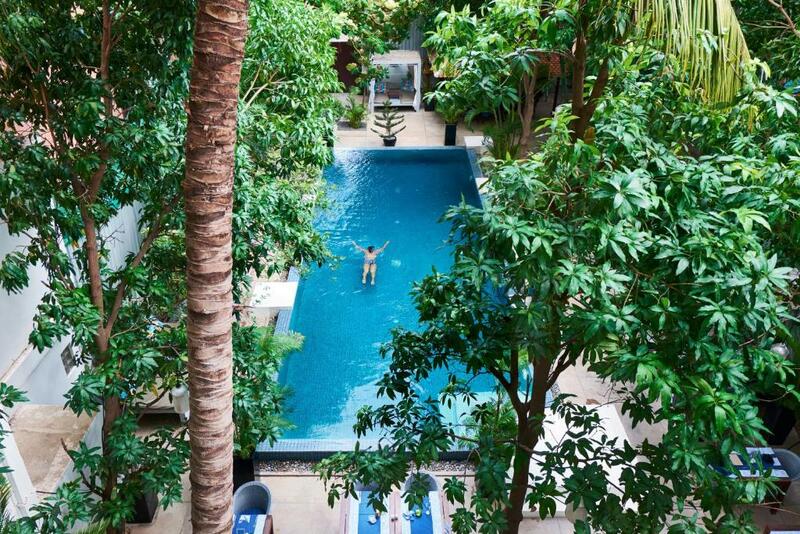 Best hotel pool we’ve seen in Phnom Penh. Really beautiful place and friendly staff. 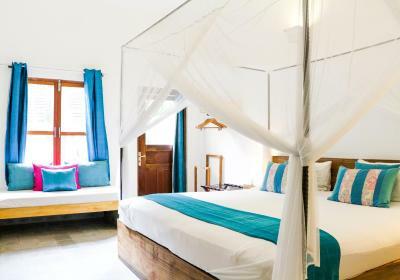 The location is great and I liked that the hotel is relatively small so it's not overly busy, and you feel like you're being looked after a bit more as a result. 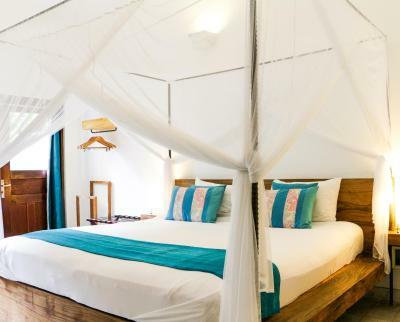 Blue Lime Phnom Penh This rating is a reflection of how the property compares to the industry standard when it comes to price, facilities and services available. It's based on a self-evaluation by the property. Use this rating to help choose your stay! One of our top picks in Phnom Penh.Located in a quiet alley just behind the National Museum and the Royal Palace, The Blue Lime Hotel offers accommodations in Phnom Penh. It features a salt water swimming pool lined with lounge chairs and pavilions. 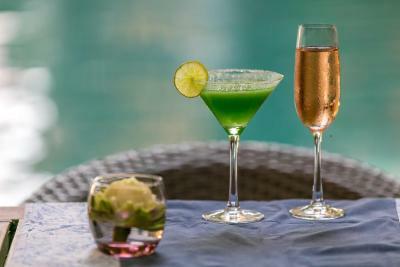 Guests can enjoy meals at the in-house restaurant or have a drink at the bar. Free WiFi is available throughout the property. It is 1,150 feet to Wat Ounalom and 1,500 feet to Kandal Market. Chaktomouk Conference Hall 2 is 0.6 mi away. The nearest airport, Phnom Penh International Airport is 6.4 mi from the property. Airport transfers are available at an additional charge. 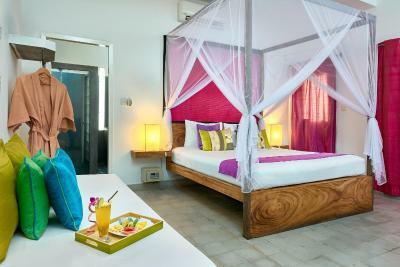 The rooms are fully air conditioned and boast spacious interiors. 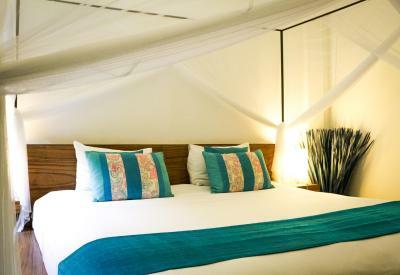 They are fitted with handcrafted furniture, modern facilities and a cable TV. 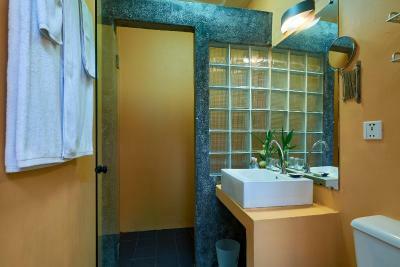 Each room has a mini fridge, a safe and a private bathroom. Staff can assist with ticketing services and luggage storage. 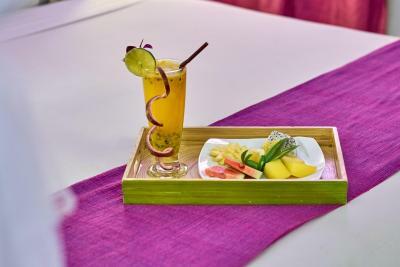 The all-day dining restaurant serves up Cambodian street food and international cuisine. 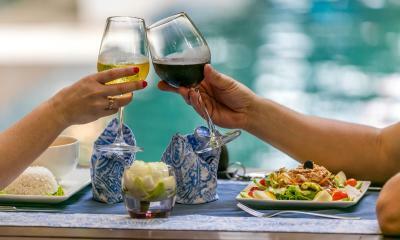 Meals can also be enjoyed in the privacy of guest’s rooms. 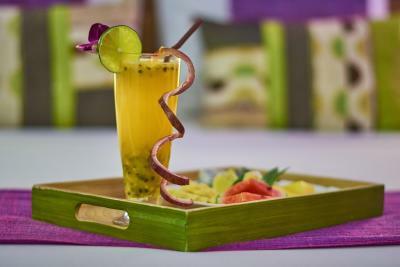 The specialty drink, Blue Khmer Cantaloupe Melon Margarita, can be enjoyed at the lounge. 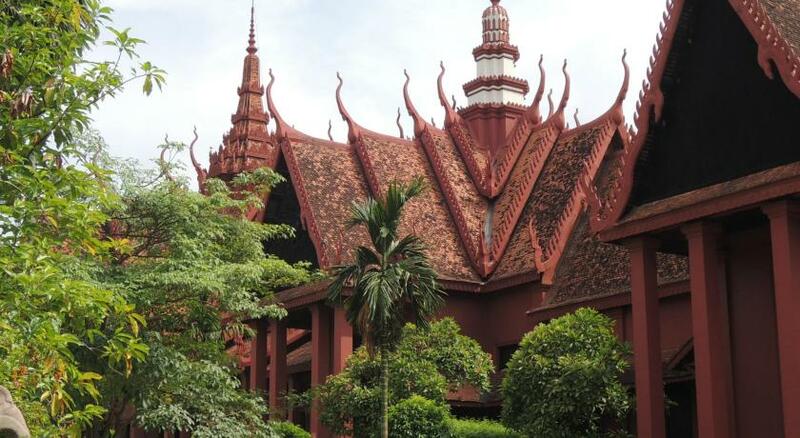 Daun Penh is a great choice for travelers interested in temples, museums and local food. 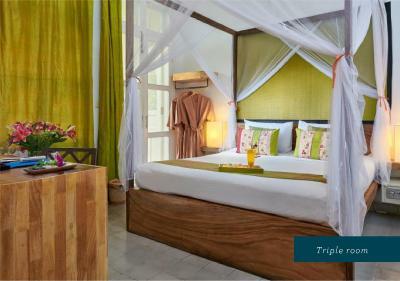 This is our guests' favorite part of Phnom Penh, according to independent reviews. 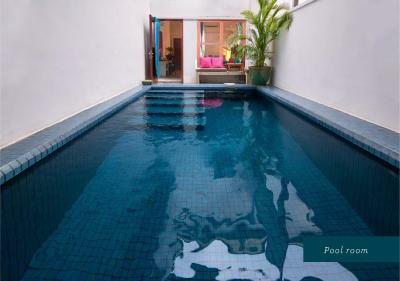 This property also has one of the top-rated locations in Phnom Penh! Guests are happier about it compared to other properties in the area. 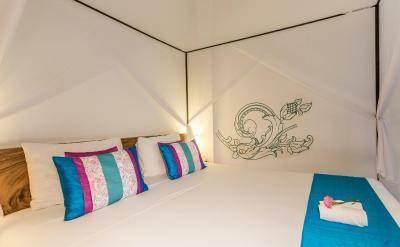 When would you like to stay at Blue Lime Phnom Penh? 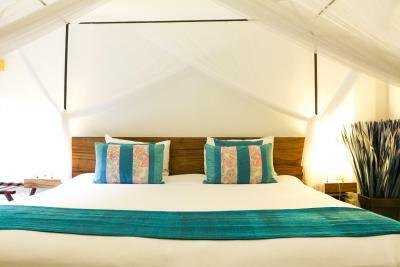 The rooms are fully air conditioned and are fitted with handcrafted furniture, modern facilities and a cable TV. 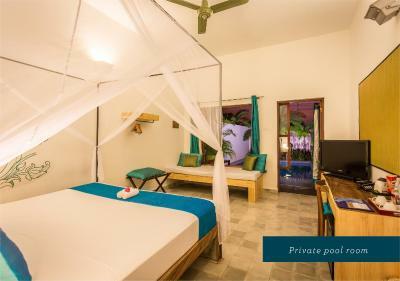 Each room has a mini fridge, a safe and a private bathroom. 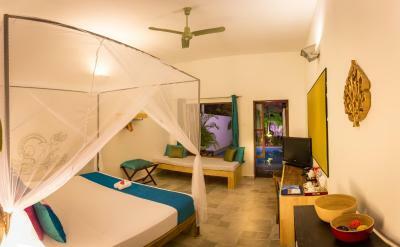 The large rooms come fully air conditioned and fitted with handcrafted furniture, modern facilities and a cable TV. Each room has a mini fridge, a safe and a private bathroom. 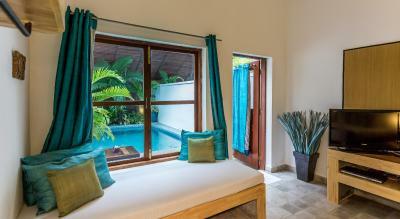 Offering views of the pool, the rooms are spacious and fully air conditioned. 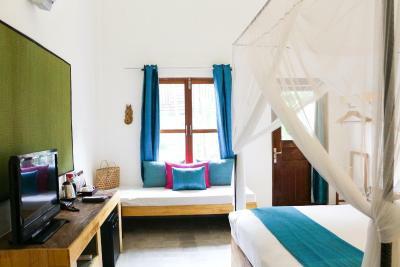 They are fitted with handcrafted furniture, modern facilities and a cable TV. 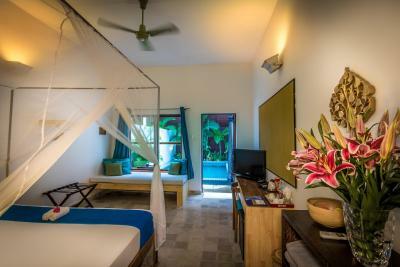 Each room has a mini fridge, a safe and a private bathroom. 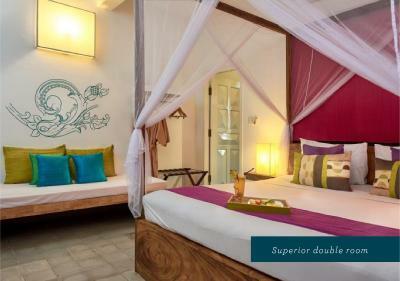 This large double room comes with 1 sofa bed and 1 large double bed. 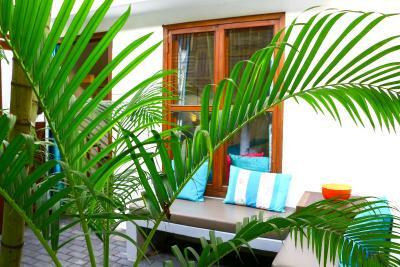 It has a private pool, a garden, and comes fully air conditioned and fitted with handcrafted furniture. 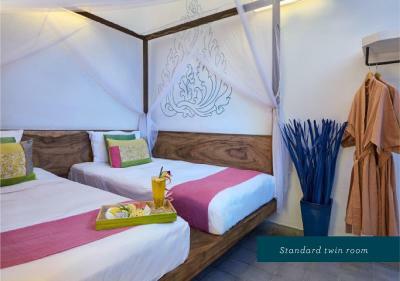 Facilities include a cable TV, a mini fridge, a safe and a private bathroom. 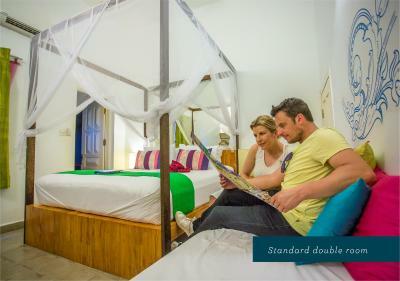 This double room offers 1 sofa bed and 1 large double bed. 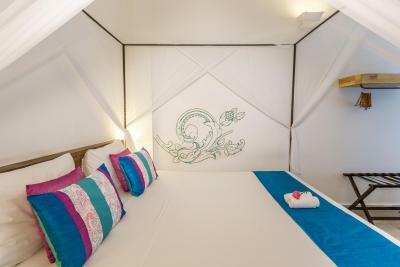 It has a private garden, and comes fully air conditioned and fitted with handcrafted furniture. 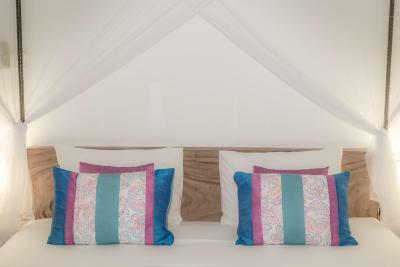 Facilities include a cable TV, a mini fridge, a safe and a private bathroom. 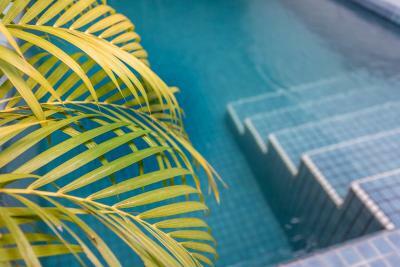 The swimming pool is located at the ground floor with decorated by the tropical trees and flowers. Hotel surroundings – This neighborhood is a great choice for travelers interested in temples, museums and local food – Check location Excellent location – show map Guests loved walking around the neighborhood! 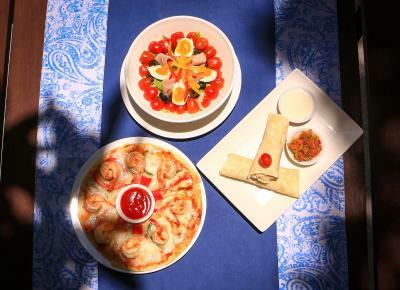 House Rules Blue Lime Phnom Penh takes special requests – add in the next step! Blue Lime Phnom Penh accepts these cards and reserves the right to temporarily hold an amount prior to arrival. Please note that unregistered guests are not allowed in rooms at any time. Pool area was ok - some smells from outside. There is really nothing to complain about. This hotel is great. Everything about this hotel is wonderful, the staff, breakfast, pool area and the room is well appointed, we had a private pool which was awesome!! Suspect that I may have been bitten by a bed bug overnight as I had mystery bits on my ankle in the morning. Did not actually see any bugs though so I could be wrong. Pool area is beautiful. Breakfast was very nice. Staff were friendly. Air con in the room was strong and the room was nicely presented. Good location. Everything was pretty great, excellent service, wonderful breakfast, they even prepared a boxed lunch in our final morning because we had an early bus ti catch. We had a room with a private pool which was awesome!! The mattress in our upgraded room was hard as a rock. We stayed for 4 nights. For the last 2 nights we upgraded to a room with a private pool. It’s great to go skinny dipping just before bed or first thing in the morning. If you’re not into that, the upgrade might not be worth it. 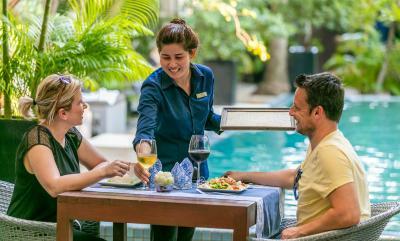 The central communal pool is very nice, with comfortable beds and great bar service. Overall a great stay! Nice, spacious, clean rooms. Decent, modern bathrooms. Very attentive staff. Good service. 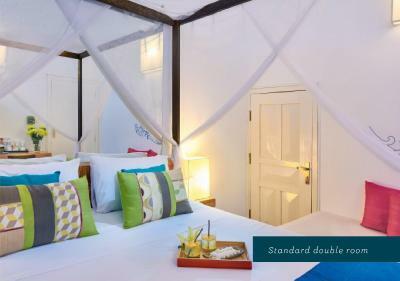 Great central location (5 minute walk from the palace / national museum). We arrived here after a 3 day Mekong Delta tour (and speedboat in to Phnom Penh). We were definitely ready for a bit of luxury. We stayed for 4 nights. For the last 2 nights we upgraded to a room with a private pool. It’s great to go skinny dipping just before bed or first thing in the morning. If you’re not into that, the upgrade might not be worth it. 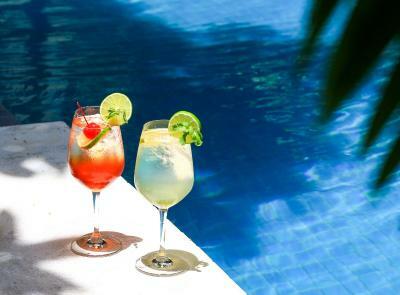 The central communal pool is very nice, with comfortable beds and great bar service. Overall a great stay! Nice, spacious, clean rooms. Decent, modern bathrooms. Very attentive staff. Good service. 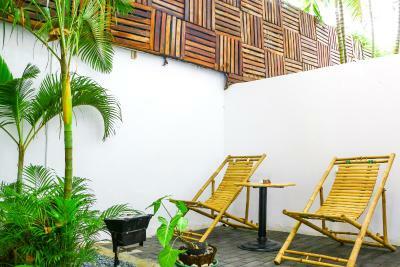 Great central location (5 minute walk from the palace / national museum). Lots of mosquito’s.. But this comes with having lots of pools I guess, we used natural bug spray we brought from the shop close and it worked good. 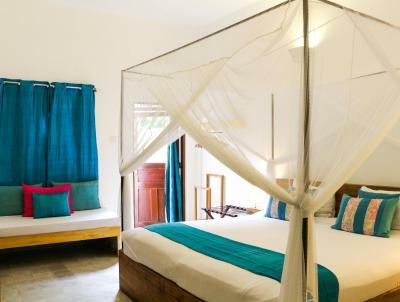 The bed had a good mosquito net too. The tv reception wasnt very clear. Excellent hotel although expensive in comparison to other hotels we stayed through our trip. Staff excellent, helpful.